The above photo is a tile I found in a little piazza in Sorrento, Italy depicting the 79AD eruption of Mount Vesuvius. This region, the Campania region of Italy, has an incredible history, generous people, spot-on vino, some of the best food in Italy, and is also completely underrated. This is just my opinion based on me having exactly 0% Italian blood running through my veins and how much I’d really love for my website to be named www.GuglielmoChizekPhotography.com. Don’t get me wrong, I like Tuscany and Umbria too, but people make too much of them and everyone seems to forget about the rest of Italy. Again, this is based on the 0% blood thing. Seriously, Italy almost has an invisible line running from Rome to the Adriatic Sea that culturally divides it. Depending on who you talk to, this may be good or bad. South of Rome, there’s just no way to miss the noticeable differences, namely the poverty and lack of infrastructure. Still, this region isn’t without it’s charm. No matter where you are in Italy, some things are universal; pizza, pasta, gelato, vino, and cafe are all equally amazing. However, give me a pizza in Campania, any day, rather than one from any other region in Italy! 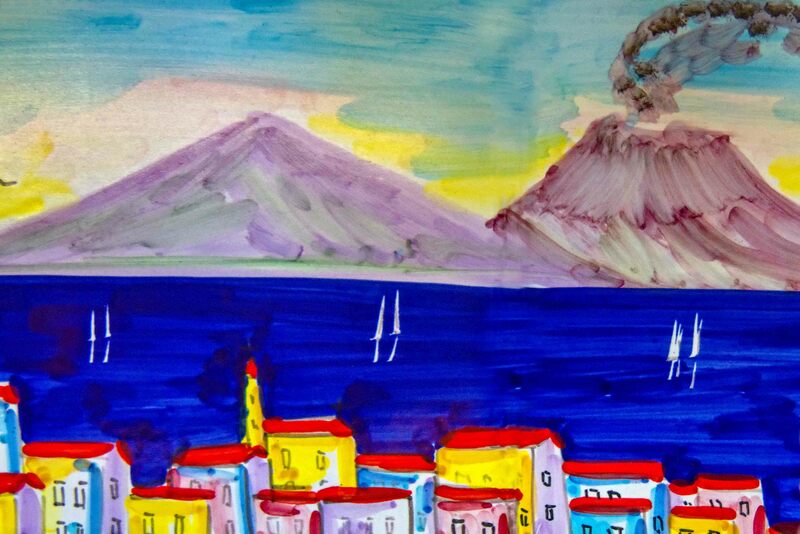 Campania has a couple of things the rest of Italy doesn’t; Pompeii and Vesuvio to name a few. So take that Tuscany and Umbria lovers… The photo at left was taken in Pompeii, the city that was violently buried under as much as twenty feet of volcanic ash in the year 79 AD. I’m a fairly traveled individual, but Pompeii is like no other place you’ll visit, you are literally walking on streets that are more than 2,ooo years old! Campania’s largest city, Naples, is home to approximately four million people and is Italy’s fourth largest urban economy. Just walking the streets of Naples, which is one of planet Earth’s most continually inhabited cities, is an amazing experience. Seriously, you can window shop forever and I HATE shopping! The amazing architecture keeps things interesting even if you don’t know much about the subject and the smell of food is everywhere, no matter the time of day! One of the most vibrant areas of Naples is Spacca Napoli, here you can find practically anything. If it exists in Naples, you’ll probably find it in Spacca Napoli. The photo at right is a good example of what you’ll find here, wall to wall everything! This area is full of traditional Neapolitan items, other areas may be food oriented, and one area on Via San Gregorio Armeno is better known as Christmas Alley. I took this in January 2012, looking at Mount Vesuvius in Naples, Italy from Capodichino.